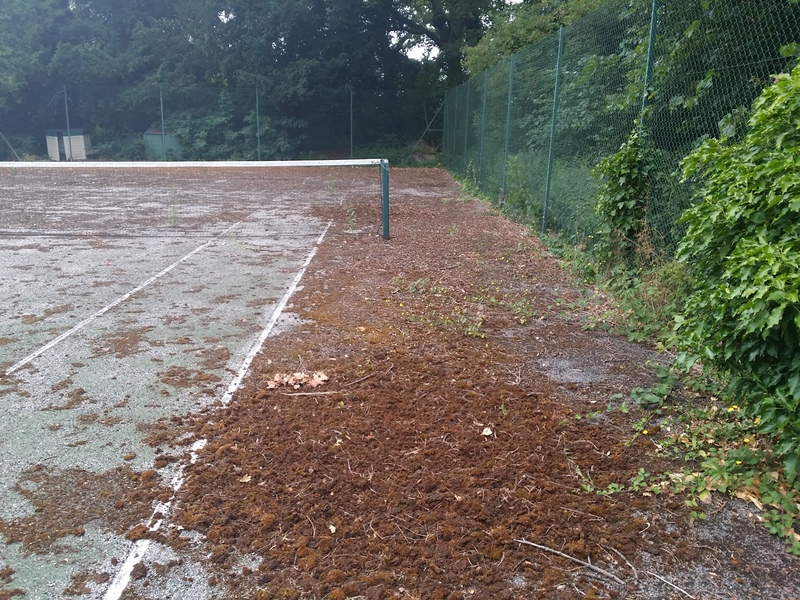 Macadam and polymeric courts need to be cleaned regularly through brushing to remove dirt and debris and prevent contaminations from blocking up the pores in the surfacing. 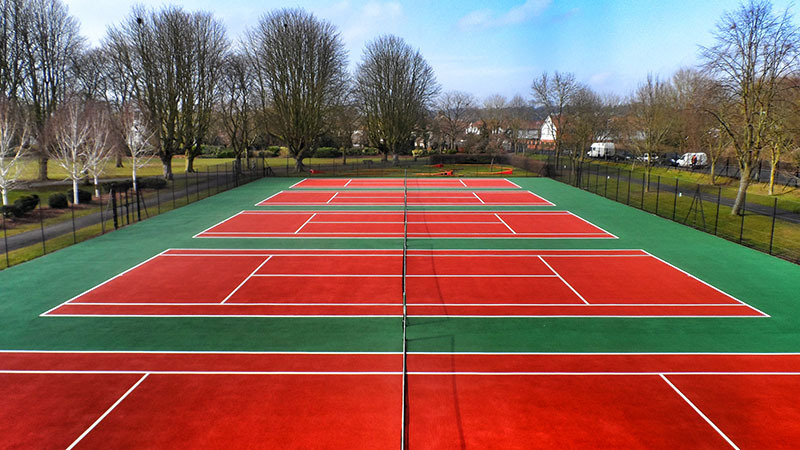 Sports surfacing maintenance and cleaning for these surface types should also include pressure washing by a specialist contractor with experience within the sport surfacing industry. 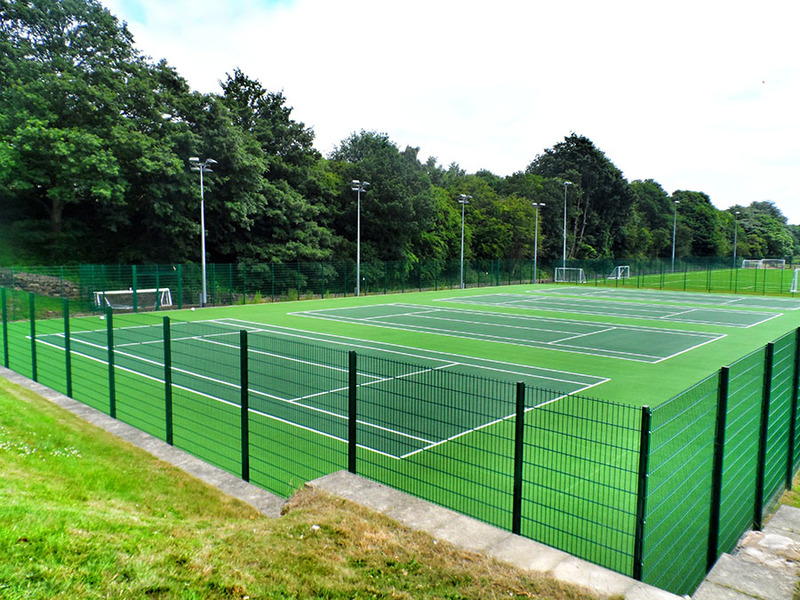 We offer a range of tennis court cleaning services for different types of surfacing including artificial grass, macadam and polymeric rubber. 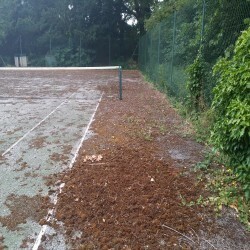 If you require more information on tennis court cleaning, please click here http://www.tenniscourtmaintenance.co/cleaning/ Cleaning of sport courts is vital to maintain the porosity of the surfacing and make sure that it is safe to play on. 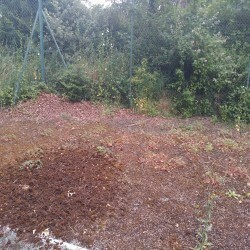 If you don't undertake regular cleaning, the surfacing may become contaminated and unsafe for players. We use specialist cleaning equipment to restore the original performance and safety characteristics of the surfacing and improve the overall appearance. 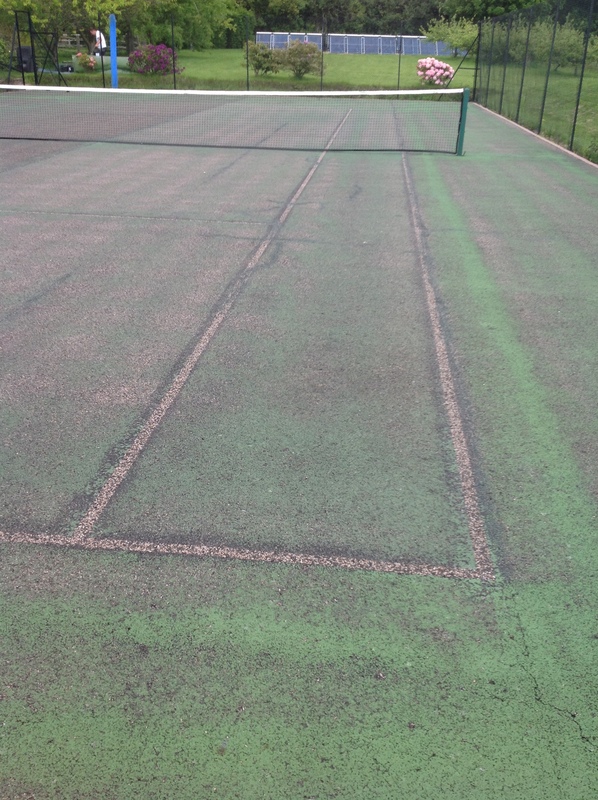 New courts and surrounding areas, often have anti slip colour coatings applied when they are first installed, but the paint and line markings can fade and become cracked over time due to heavy use or damage from the weather. Having the flooring resprayed with anti slip paint and fresh line markings as part of the sport area upkeep process will improve the performance qualities of the facility and ensure that the flooring is safe for use by players. 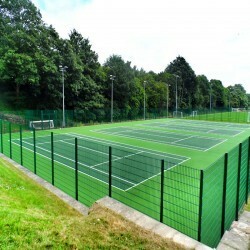 To learn more about repainting please visit this page http://www.tenniscourtmaintenance.co/repainting/ We have a number of different colour options for you to choose from to allow you to create a unique design for your sport facility. We also complete relining in the colour of your choice. If you'd like more information on repainting, please fill in our contact form and we can get back to you with a quote. If the surface of your sports facility becomes damaged from vandalism, overuse or weathering, it may be necessary to carry out a repair as part of overall maintenance works. Repairing tennis courts could include recapping of polymeric or macadam which has started fretting, or seam and joint repairs to synthetic grass where the carpet has ripped or come apart. We complete these small repairs and surrounding areas, as well as larger repairs such as resurfacing. 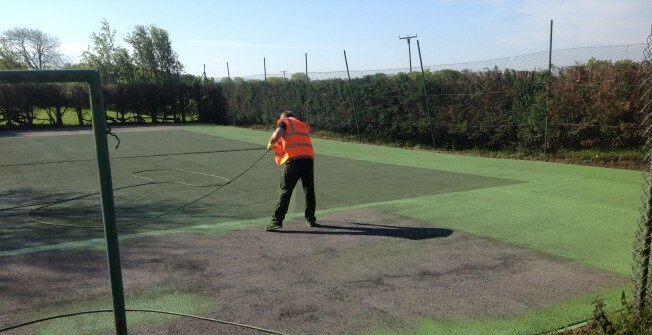 The resurfacing consists of installing a brand new tarmac wearing course; this can be quite costly which is why we recommend carrying out regular maintenance to prevent the need for this type of servicing. If the surface of your facility is in very poor condition, it may need a complete resurfacing project where the existing surfacing is removed and a brand new one is installed in its place. 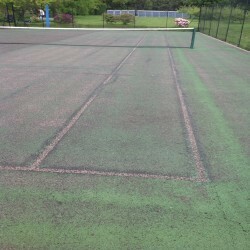 This is the most extreme sports court upkeep method which is typically used if the area becomes unsafe and unsuitable for use and no other preservation method can bring back its original performance qualities. 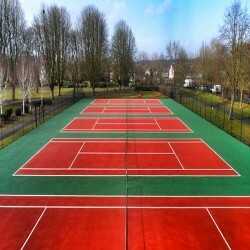 For a full tennis court renovation http://www.tenniscourtmaintenance.co/renovation/ we can install a completely new surface with improved playing qualities. 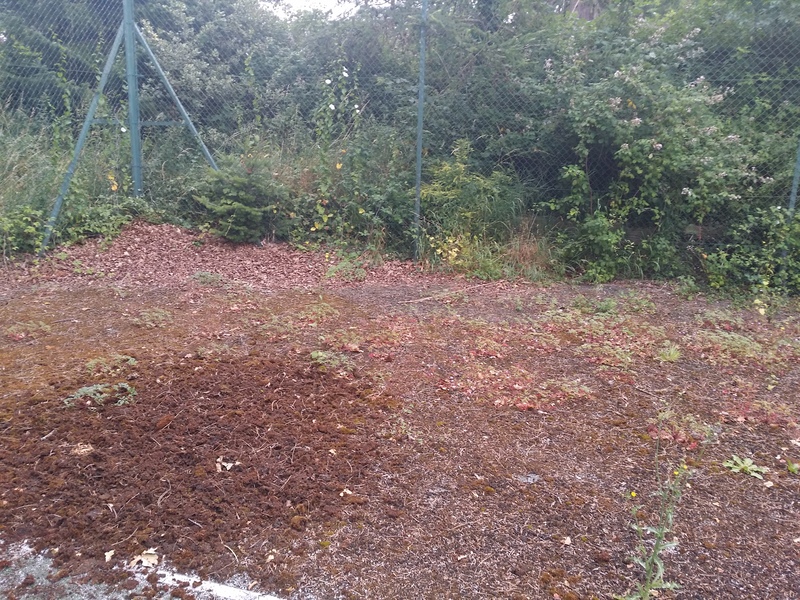 Many schools and clubs also choose to have an old facility replaced with a brand new surface to create better performance and to improve the general look of the area. 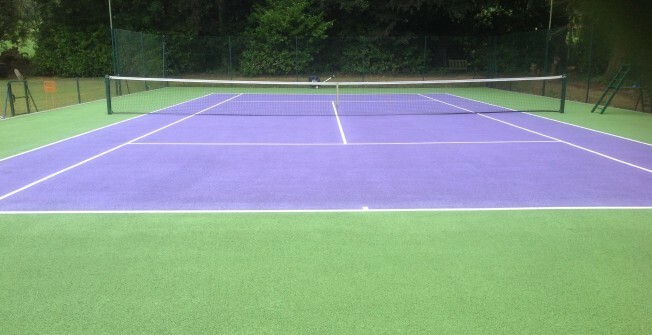 If you would like to find out more about tennis court maintenance please take a look around the rest of our website. Don't hesitate to fill in our contact form with any enquiries you have and we'll get back to you with some professional advice regarding specifications and pricing for your sports facility maintenance and cleaning project.